From the network that brought boxing fans the blockbuster fights of Mike Tyson and Julio Cesar Chavez, Showtime returns to the pay-per-view business with a cast and crew of veterans. The March 12 card headlined by Miguel Cotto vs. Ricardo Mayorga will be called by Steve Albert with Al Bernstein and Antonio Tarver serving as expert analysts and Jim Gray reporting from ringside. 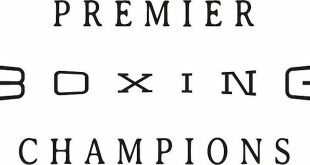 In addition to countless editions of Showtime Championship Boxing, the experienced group last worked together in a pay-per-view capacity to produce and distribute the highly anticipated rematch between Diego Corrales and Jose Luis Castillo in 2005. Cotto, the Pride of Puerto Rico, will defend his WBA super welterweight title against two-division world champion Mayorga in the main event. Cotto, of Caguas, Puerto Rico, has held a world title every year since 2004 and has won 15 of the 17 world championship bouts he has fought. Mayorga, of Managua, Nicaragua, is known for his reckless abandon and fearlessness inside the ring – a style of fighting that has produced 23 knockouts in 29 victories and legions of fans. A member of the prestigious World Boxing Hall of Fame, Albert has called some of the biggest and most memorable world championship fights in boxing history. 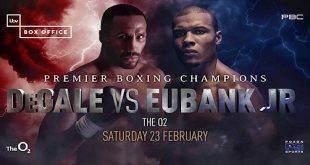 Albert, who will serve as play-by-play announcer for the pay-per-view telecast, has drawn up a game plan for each man to walk away with the WBA title. “Cotto needs to get inside Mayorga’s wide shots with compact, accurate punches,” Albert said. “Cotto is one of the best short-distance punchers in the sport. He needs to jab and move and blast that left hook, which is still one of the best in the business. He should use the entire arsenal. Fans want to see if that right hand is effective since the shoulder surgery. 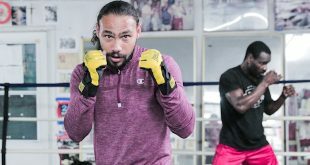 And make sure he has a Plan B, C and D.
Bernstein, who has called more than 2,500 fights and 67 pay-per-view telecasts and will serve as expert analyst for this Saturday’s event, had similar thoughts for each fighter. “Cotto needs to get inside the wide punches and work the double left hook,” Bernstein said. “He should go to the body – Mayorga is 37-years-old and a smoker. The newest member of the Showtime announce team, Tarver, is a former undisputed light heavyweight world champion and the first man to knock out former pound-for-pound king Roy Jones, Jr. He joined Showtime in 2008 as a boxing analyst. In ‘06, Tarver displayed his versatility and crossover appeal when he portrayed heavyweight champion Mason “The Line” Dixon in the blockbuster motion picture “Rocky Balboa,” the final installment of the legendary film series created by and starring Sylvester Stallone. “It’s been a while since Mayorga has been in a significant fight after having some tough losses. For Mayorga, it’s the opportunity of a lifetime,” said Tarver, who is in the process of transitioning from the ring to ringside, “It could be his final chance to get back into the mix in the weight division so I see him being focused. While Mayorga needs to get wild and push Cotto out of his comfort zone, Tarver feels Cotto needs to do the same things he’s done to become one of the best fighters of the past 10 years. “Cotto needs to keep the pace, continue to fight his fight, time his punches and move,” Tarver said. “As long as he can do that without being hurt he’ll be OK. Cotto needs to get up under those wild shots -- that’s Mayorga’s style and Cotto can’t fall prey to that. 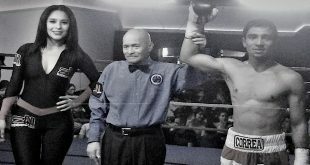 Versatile, Emmy Award-winning Gray, who will serve as roving reporter on the telecast, believes Cotto’s speed will be the difference maker and warns Mayorga to be patient against the talented champion. “Cotto needs it more and is going to be able to take advantage of Mayorga, who has had long layoffs,” Gray said. “While Mayorga is colorful with his taunting and his words, the older you get the harder it is to back up all that commentary. “Relentless” will be produced and distributed by Showtime PPV, beginning at 9 p.m. ET/6 p.m. PT, at a suggested retail price of $49.95. Bernardo Osuna will call the blow-by-blow on Spanish simulcast will call the with Raul Marquez providing color commentary. David Dinkins Jr. is the executive producer for Showtime Sports with Ray Smaltz producing and Bob Dunphy directing. All of whom bring to the table a tremendous amount of pay-per-view experience to the MGM Grand in Las Vegas, Nev., live on Showtime PPV, beginning at 9 p.m. ET/6 p.m. PT.